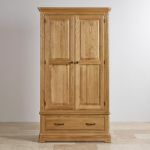 Our Canterbury double wardrobe brings classic elegance into your home. 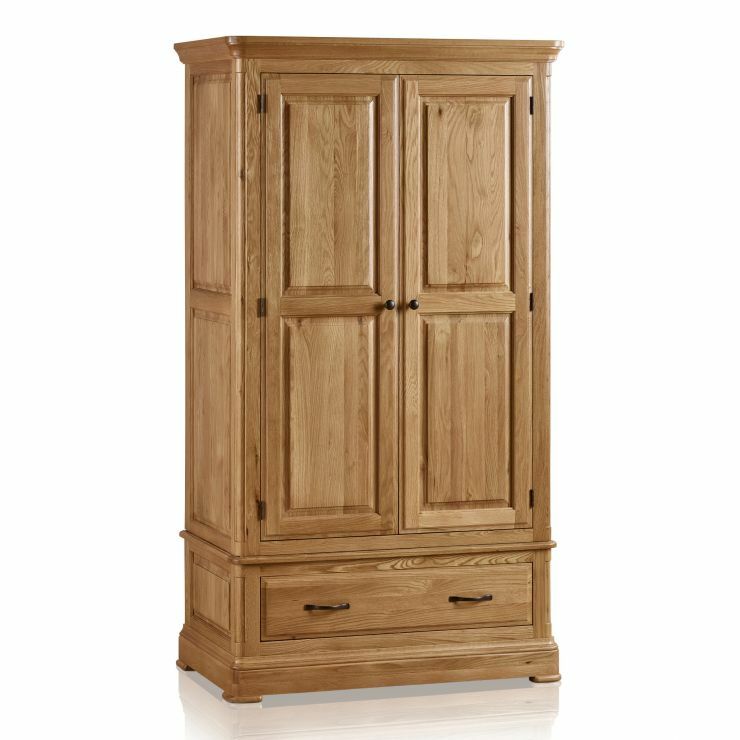 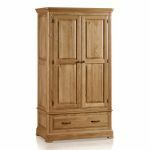 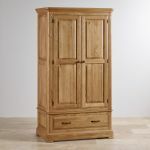 Made from solid oak in our beautiful natural wax finish, the wardrobe boasts durability and good looks alike. 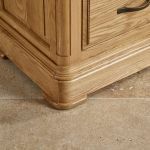 The bright tones of natural oak allow the wood grain to stand out, which adds a light modern feeling to more traditional elements, such as the flared cornices and deep pedestal base. 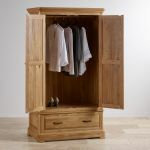 The wardrobe features a large hanging space with a rail, perfect for keeping your clothes looking their best, and a deep storage drawer underneath for excellent hidden storage in your bedroom. 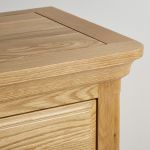 The drawer is made from solid oak throughout - even the base, back, and runners - and is finished with real dovetail joints for strength and durability. 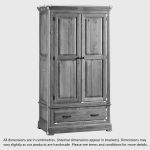 Our Canterbury range is characterised by beautiful dark antiqued metal handles, which complete the styling of this stunning wardrobe.